Total Time to Serve: 10 Mins. 1. Place chocolate sprinkles in shallow dish. Set aside. 2. 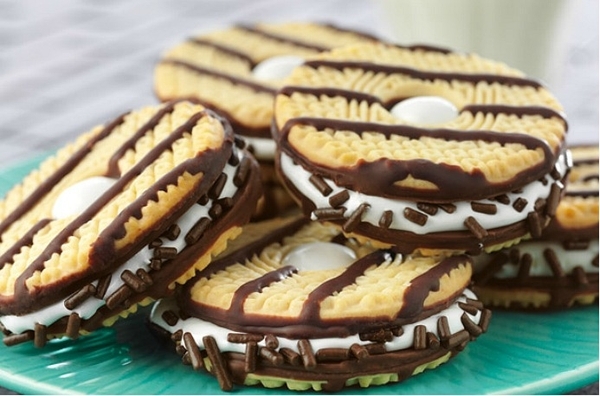 Spoon dollops of marshmallow créme on bottoms of ten of the cookies. Top with remaining cookies, bottom sides down. Gently press cookies together until marshmallow créme reaches outside edges. Gently roll edges in chocolate sprinkles.